The Hunterian Museum inside the Royal College of Surgeons hosts exhibitions on the history of surgery, including medicine, natural history and art. The Hunterian Museum inside the Royal College of Surgeons hosts exhibitions on the history of surgery, including medicine, natural history and art. 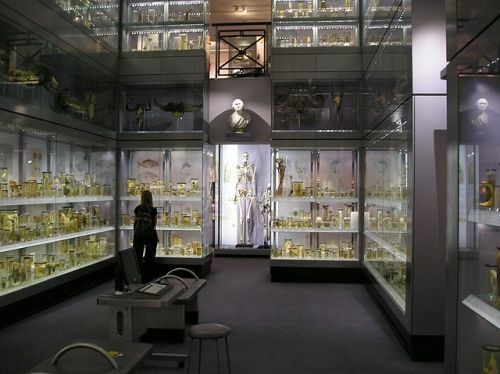 The museum was established by John Hunter (1728-1793), the founder of scientific surgery and displays his collection of anatomical specimen, among exhibits such as Charles Babbage's brain.